Arrive at Munnar airport/railway station and transferred to hotel. Check in the hotel and relax for some time. Rest of the day is at leisure for your individual activities and you can also visit Chenkulam dam and enjoy the folk show. Later back to the hotel. Overnight stay at the hotel. After Breakfast proceed to half day sightseeing of Eravikulam National Park, Mattupetty Dam & Dairy Farm, Old Munnar Town and the town market. and you can also enjoy the Ballooning which will be taken by early morning or in the evening. Rest of the day is at leisure for your individual activities and you can also explore the surrounding on your own. Overnight stay at the hotel. After Breakfast check out the hotel and proceed to Munnar airport/railway station to board a flight for your onwards journey. Accommodation in twin/ double sharing in mention / similar hotels. 1. Activity is subject to conducive weather conditions, based solely on the pilots discretion. 2. Schemes and pricing subject to change. 3. Intoxicated, Medically unfit and pregnant guests are not allowed on the flight. 4. Children below the age of 5 are not allowed. Kids below the age of 14 need to be accompanied by an adult. 5. This is not an exhaustive list, other T&C shall apply. All transfers and sightseeing are as per the Itinerary/package and in case of Air Conditioned vehicles, It will be switched off in the hills. Indica or Tavera will be used for the sightseeing. The hotel reserves the right of admission. Accommodation can be denied to guests posing as a couple if suitable proof of identification is not presented at check-in. Via.com will not be responsible for any check-in denied by the hotel due to the aforesaid reason. Flight Raja Travels Pvt. Ltd. reserves the right to change/modify or terminate the offer any time at its own discretion and without any prior notice. 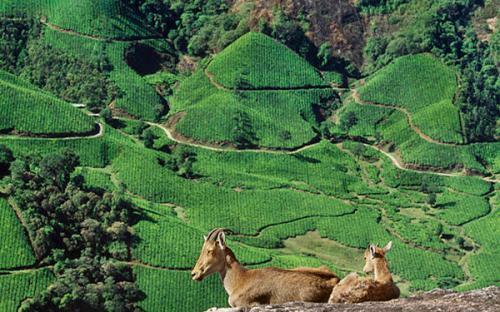 If you have not decided yet or wants to customize tour itinerary or hotels listed above in "Weekend In Munnar Tour Package By Via", then we can change the travel itinerary and make a personalized, tailor-made holiday package, especially for you. We can modify this travel package as per your itinerary, budget, duration and the tourist places you would like to visit, including transportation and airfare should be included or not. Please fill the form below to contact us.